Last weekend I was in Glenridding in the Lake District for a very enjoyable and productive time at the John Muir Trust AGM and Members Gathering. I was delighted to see so many members there and to chat to many of them along with JMT staff and fellow Trustees - I've just been re-elected for a second term. 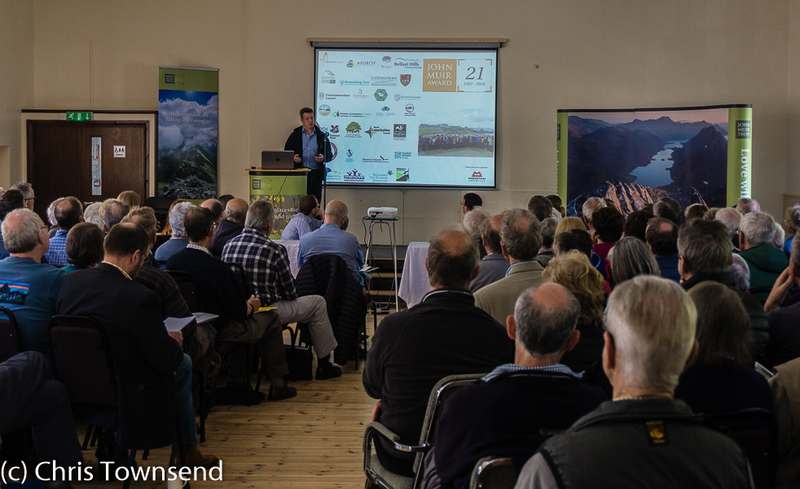 There were excellent informative and inspiring talks from staff members and from guests from the Patterdale Parish Council, Foundation for Common Land, Lake District National Park and Fix The Fells. The whole weekend was extremely well-organised and as on previous occasions I was impressed by the dedication of the JMT staff. The locally provided food and drink was excellent too. Tirril Old Faithful golden ale was a refreshing welcome discovery! Amongst all the talking, formal and informal, there was time to enjoy the outdoors and on the Saturday afternoon I joined a group for the short trip on an Ullswater 'Steamer' to Aira Force. 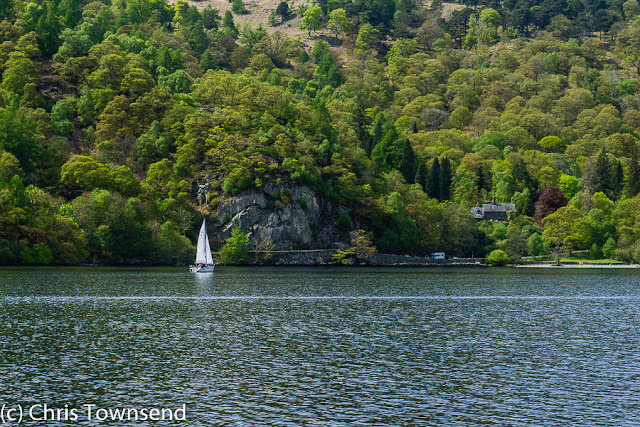 This was a 'self-guided' outing, which meant that once off the boat you were on your own to make your way back to Glenridding any way you chose. 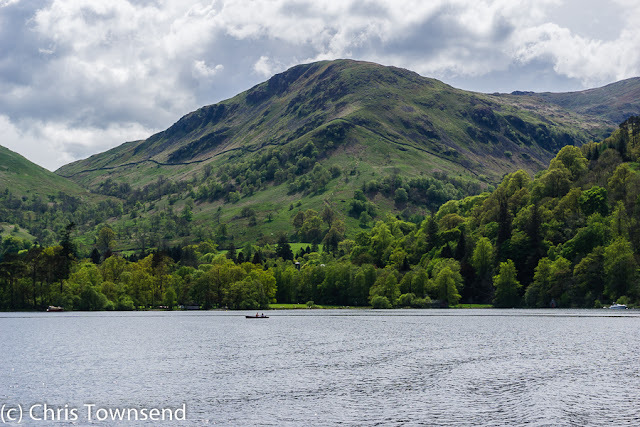 A few people neglected to get off at Aira Force and ended up going all the way to Pooley Bridge at the far end of the lake and then back again on the boat! 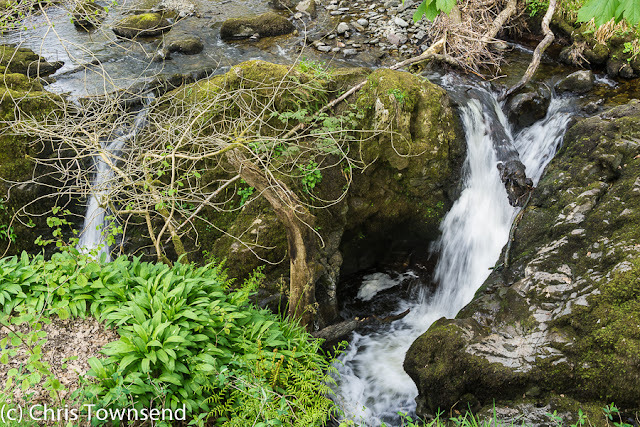 I wandered up beside Aira Beck to the main waterfall, crashing down under an arched stone bridge and watched by dozens of people. This beauty spot - and it is lovely - is very popular as its easily accessible. Once above the bridge there were fewer people and a quieter more peaceful feel. Sunlight on the bright spring leaves created a light airy atmosphere that was soothing and relaxing. Wild flowers - bluebells, ramsons, wood sorrel, primroses - dotted the floor of this long narrow strip of woodland - it doesn't extend far beyond the beck either side. 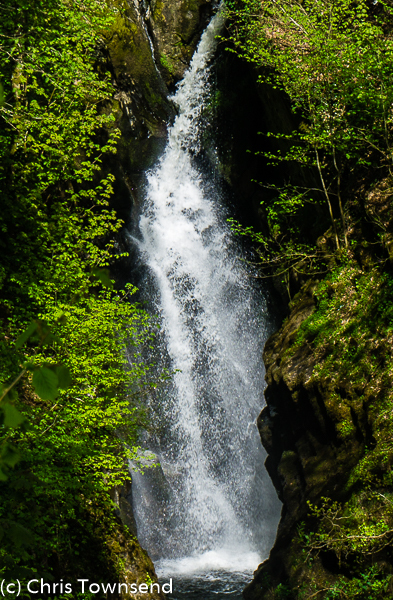 Always there was the gentle company of the beck, swirling in deep pools, tunbling down rocks in little cascades and gliding dark and deep through narrow miniature gorges. At the top of the path I set off across fields intending to walk back to Glenridding over the lower fells. At a stile I turned and looked down to the ribbon of green I'd just left. Ahead the hillside was brown with last year's bracken. I hesistated then headed back to the beck. 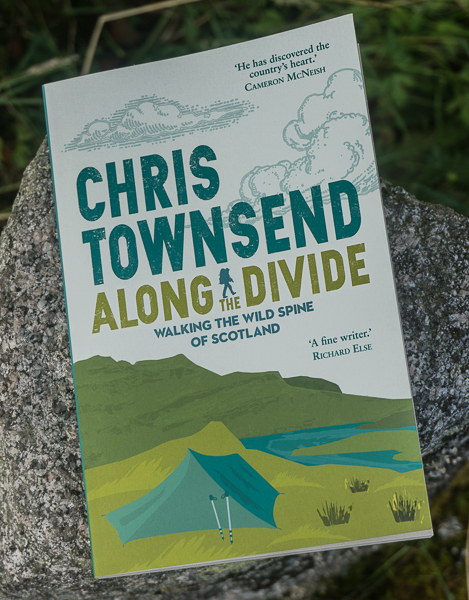 I was enjoying the trees and the water too much to want to leave them so I forgot the hills and descended the path on the other side of the beck. 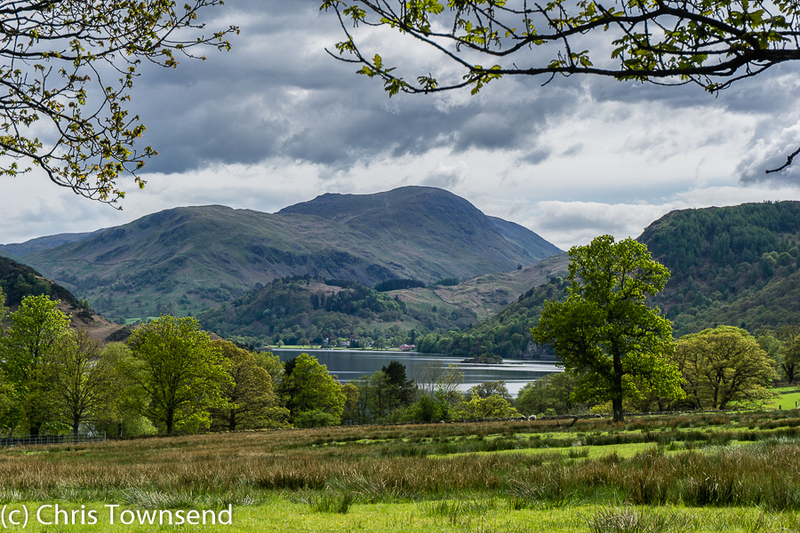 Back at Ullswater I followed a path back to Glenridding through fields and woods and at times right by the lake. Although close to the main road I did enjoy this walk and for once I was glad I hadn't climbed up into the hills. On the train north the next day I reflected on the weekend. 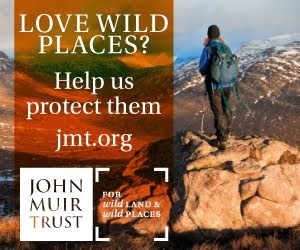 It had gone very well, I thought, and the John Muir Trust was in good shape. It needs to be. 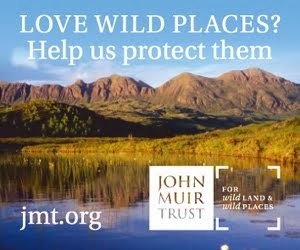 Too much wild land isn't.